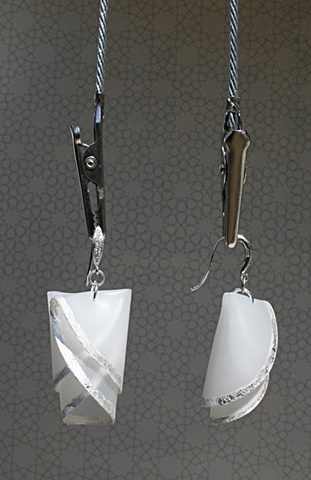 Hand folded, translucent, white silicone with sterling silver leaf accents. Lightweight, delicate in appearance, yet not fragile, with sterling silver ear hooks accented with cubic zirconia. So chic.